Nobody likes those unpleasant dark circles under the eyes. There a many ways of avoiding / hiding those marks around the eyes. Dark circle not only makes your makeup look horrible but also those bags under your eyes can make you look much older than you are. Dark circles occur when one does not have a proper sleep or drink less water. Though there are many methods to hide those marks around the eyes, you need to sleep well and drink sufficient amount of water everyday. Let’s take a quick look at some home remedies and makeup solutions to cure / hide these marks naturally. 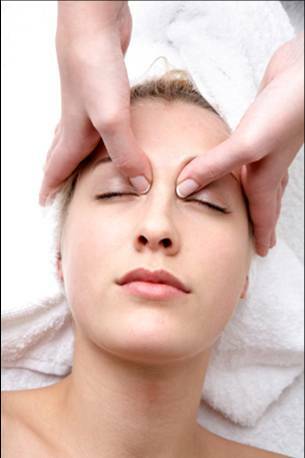 1) Tea bags: Tea bags are effective in reducing the dark circles. Dip two tea bags in warm water and then place them bags over both the eyes and leave it for 15 minutes. Take off the tea bags and you will notice the difference. Tea bags also leave your eyes fresh. 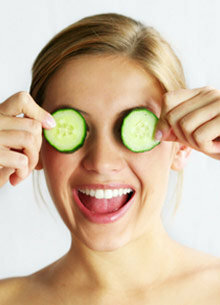 2) Cucumber: Using cucumber slices to remove the under-eye dark circles is one of the most famous methods. Slice out two pieces and place them over the eyes and leave for 15 minutes. Cucumber also cools the eyes. Place them over your tired eyes and gain the freshness back. 3) Potato slice: Potato is known to have skin whitening and bleaching properties. Cut two thin potato slices. 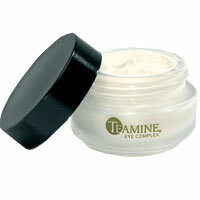 Dip it in cold water and put it over the eyes. Remove it after 15 minutes. It worked! 4) Drink water: Drink at least 10-15 glasses of water daily. Water not only prevents dark circles, but also keeps your skin hydrated all day leaving it smooth and glowing. 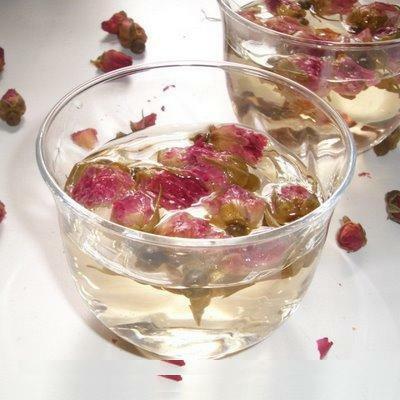 5) Rosewater: Contains natural healing and cooling properties. Dip cotton balls in rosewater and place them over the eyes. 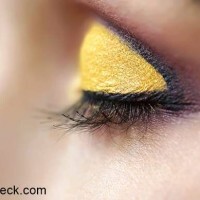 6) Olive oil: Massage your eyes gently with olive oil. It’s very effective oil and treats many skin related problems as well. 7) Diet: Nutritious diet cures all the body and skin related problems. 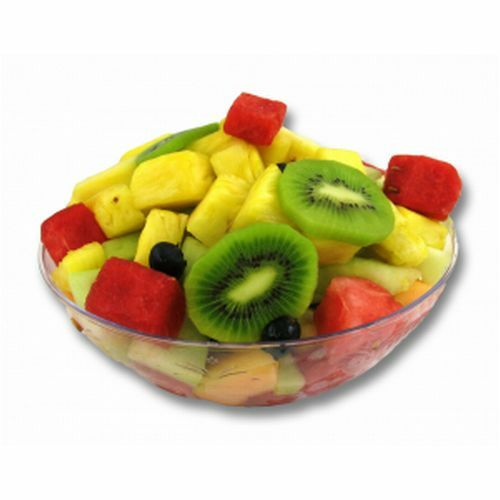 Fruits rich in vitamin C and K help curing under-eye dark circles. Eat citrus fruits and vegetables. Avoid tea and coffee. Smoking is also something that is not good for the skin. 8) Jogging: Jogging helps remove toxin out from the body leaving your skin fresh and healthy. 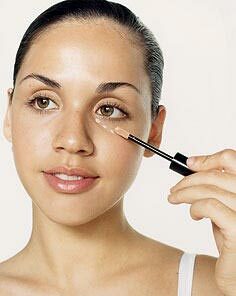 1) Concealer: It is the most effective beauty product for hiding the dark circles around the eyes. Apply it in small drops beneath the eyes and blend it out from the inside corner of your eyes to the outside till the concealer completely blends with the skin. 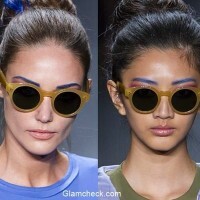 It is advisable to use a concealer which is one shade lighter than your normal skin tone. Avoid applying too much as it may get noticeable. 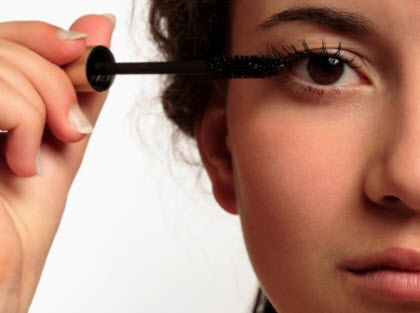 2) Mascara: Make sure you apply mascara over the upper eyelashes only. 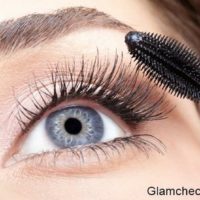 Mascara on the lower lashes makes the dark under-eye dark circles appear darker. 3) Eye serum/ lotions: There are a number of beauty products available in the market which help curing and preventing under-eye dark circles.